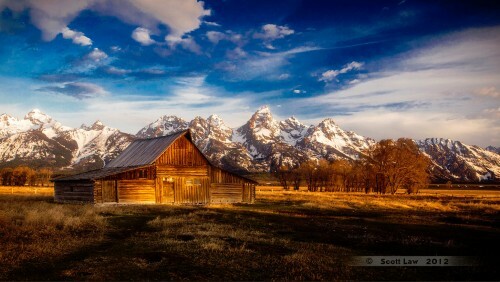 Moulton Barn is part of a scenic set of properties in Grand Teton National Park known as “Mormon’s Row”. Credit: Special thanks to Scott Law for granting permission to use this photograph as a jigsaw puzzle. Visit Scott Law's Flickr photostream.